Without any doubt, fraud, forgery, and any other form of scientific misconduct have always been around. In the past, much of this remained, however, undetected because the tools enabling exposure of such misconduct were largely missing. In recent years, articles on scientific misconduct have become ubiquitous, and even daily newspapers increasingly descend on the subject, frequently using rather provocative headlines. In January this year, the Swiss newspaper Neue Zürcher Zeitung (NZZ) stated that “Science fights forgery but nurtures bluff” . The Welt am Sonntag of May 17, 2015, headed their interesting article on scientific misconduct with “Lies from the laboratory” . The author, Thomas Vitzthum, went on to say that deception and fraud are particularly common in disciplines that hold the greatest hope for mankind, such as medical, genetic, or psychological research. Scientific misconduct, expressions of concern, and retraction. 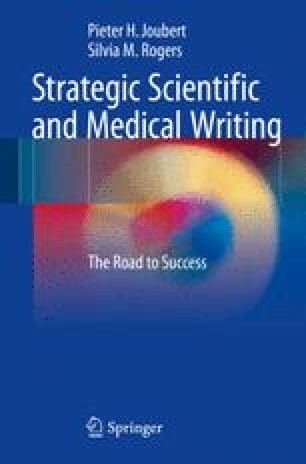 Available from: http://www.icmje.org/recommendations/browse/publishing-and-editorial-issues/scientific-misconduct-expressions-of-concern-and-retraction.html. Committee on Publication Ethics (COPE). Text recycling guidelines. 2013. Available from: http://publicationethics.org/text-recycling-guidelines. Committee on Publication Ethics (COPE). Retraction guidelines. 2013. Available from: http://publicationethics.org/text-retraction-guidelines. Retraction Watch. Available from: www.retractionwatch.com.